Right now, Spokane real estate is in high demand. 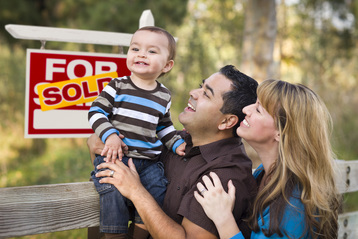 ​When the time comes for you to sell your home, RE/MAX Real Estate of Spokane is here to help. We understand that selling a house can be a stressful experience. We can help by taking the pressure off of you. Our realtors can help sell your home quickly while allowing you time to plan for everything else selling a house entails. We have many years of combined experience showing and closing Spokane homes for sale. We are also licensed to sell your house anywhere in Eastern Washington, and in Northern Idaho including the the Coeur d'alene and Post Falls areas. If you are looking to sell your home, trust the Spokane real estate realtors at RE/MAX Real Estate of Spokane to sell your house for you. Selling your home by yourself might sound tempting, but it can also take a tremendous amount of time and energy. In some cases, selling a house can take many months, and even longer if you do not have the information and experience a team of dedicated realtors do. If you do not have the time or experience to devote to selling your home by yourself, then allow the realtors at RE/MAX Real Estate of Spokane to do it for you. If you are ready to sell your house, there are several steps to take in order to help make the process go smoothly. We have compiled the main steps to sell a house here for you. 1. The first in the steps to sell a house is to prepare for it. This includes making necessary repairs or upgrades that help your home stand apart from the other homes for sale. It can also include clearing out excess belongings, and checking into the local market trends based on other people who are selling a house in your area. You should also query moving companies, or begin to make alternate plans to help expedite the moving process once your home sells. 2. Find a team of realtors. 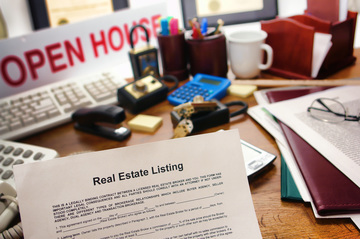 When you are ready to sell your home, it pays dividends to retain an industry professional who can help navigate all of the paperwork and practices, not to mention that know the area you are selling your home in like the back of their hands. This is why finding an experienced team of realtors is one of the most important steps to sell a house. 3. Set your price. When selling a house, working with an experienced team of realtors can help you take the various factors into account affecting how you set your asking price. Some of these include market conditions and mortgage interest rates. We think of effectively selling a house as a combination of marketing, presentation and negotiation. 4. Marketing selling your home. Selling your home quickly and for your maximum benefit requires an aggressive marketing strategy. We develop a marketing strategy that works with your knowledge base and situation, and that takes into account market factors governing the current home buying climate. 5. Negotiate an offer. Of all the steps to sell a house successfully, negotiating an offer might be one of the most important reasons to hire a team of realtors. Once you receive an offer, we can determine the ‘sweet spot’ that elicits the maximum benefit for you, and ensures the homebuyer will seal the deal. 6. Get ready to settle. Not on the amount you receive for selling your home, but on the contingencies that come with it. These may include making your home available for inspections and appraisals, or setting a ‘rent-back’ policy if the buyers are looking to move in before the settlement finalizes. We cannot stress enough how important it is to hire a team of realtors that understand the current trends and conditions in your local area. At RE/MAX Real Estate of Spokane, we specialize in getting the most out of Spokane real estate, which means getting you maximum benefit on your home sale. If you are ready to sell your house in the Eastern Washington or Northern Idaho areas, our experienced, dedicated team of realtors is here to help make sure you sell your home as quickly and easily as possible. When the time comes to sell your house, Trust RE/MAX Real Estate of Spokane to be with you every step of the way, by selling your home with our help today.